The history of synthetic turf dates back to the 1960’s when Monsanto developed what later became known as Astroturf for the Astrodome in Houston, Texas, home of major league baseball's Houston Astros. The advent of domed, indoor stadiums and their inability to support a natural turf playing field soon caused the use of synthetic turf to spread throughout the major leagues and other professional and collegiate athletics. Back then, the turf fields were made from Nylon 6,6, and the filament was unforgiving and rough to players, causing frictional burns from falling and sliding on the surface. This early turf soon gave way to the second generation of synthetic fields in the 1970s. This time, the material of choice was polypropylene (PP) and it was European companies that brought it to market in 1976. This shift saw the industry going to a longer, tufted filament plus the addition of sand infills, making the material more forgiving to the players. The move to LLDPE fields was driven by safety of the players. These were not the “rugburn” inducing fields of previous generations, and players groups from all over professional sports supported these third generation fields. Instead of fighting against artificial surfaces, many of today’s players prefer synthetic turf for safety, aesthetics and duration of play on one field. But what came along with the switch to LLDPE fields was quite surprising, and further supports the use of the material. When subjected to weathering testing, the LLDPE fields were able to hold their color longer - much longer - than the previous two materials (Nylon 6,6 and PP). FIFA, the international governing body of soccer, recommends 3,000 hours of accelerated weathering testing on turf in a QUV device to determine color hold. At Americhem, we’ve found the LLDPE fields can sustain 6,000, 9,000 and even up to 12,000 hours of xenon arc weathering testing and still retain their desired colors. Certain colors are better than others (reds are notoriously less colorfast, for example) and not all colors can hold up to the 12,000 hours of testing, but Americhem’s weathering studies go far beyond what FIFA recommends because we want to be able to make sound recommendations to our customers. 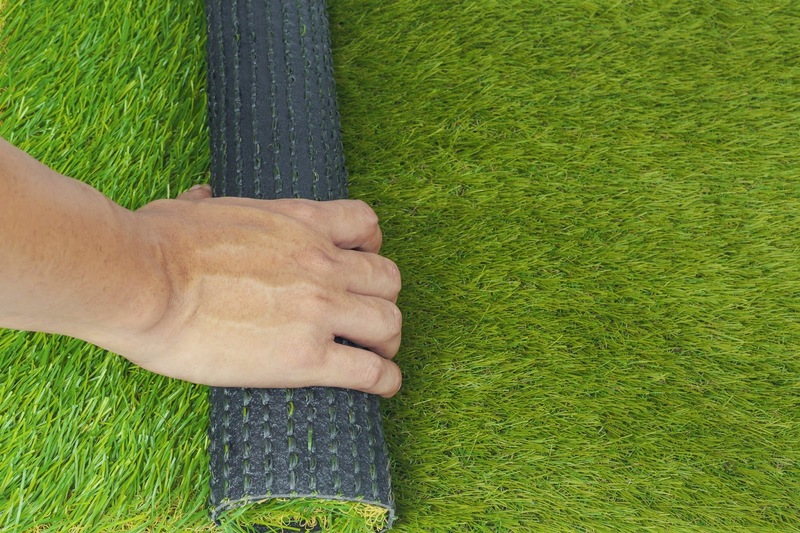 Americhem has released a synthetic turf color selector guide which contains cardwrapped samples of various colors of turf yarn, including greens and a number of popular logo colors. All of the colors recommended in the book can stand up to at least twice the FIFA mandated accelerated tests of 3,000 hours. It’s also in these longer tests that you can see the difference in failure mechanism between the LLDPE and the previous materials. So the material was developed to make life better for the players and, in the end, it also proved to be the superior material from a standpoint of longevity and reduced color fade. Americhem has written a white paper on the subject of today’s turf fields and weathering. Please contact Scott Blanchard at sblanchard@americhem.com to receive a copy of the white paper or to receive a copy of our turf color selector guide.